Fred Van Eps (December 30, 1878 – November 22, 1960) was a noted bnjoist and banjo maker. 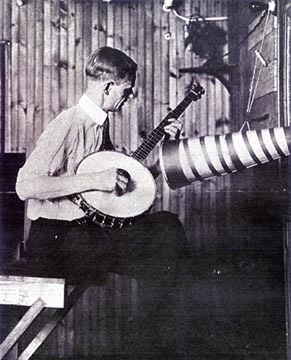 The "Van Eps Recording Banjo" was a well-known model until 1930. Van Eps was born in Somerville, New Jersey and moved with his family to Plainfield, New Jersey in 1892. he learned to play the banjo and studied the phonograph cylinder recordings of Vess Ossman. 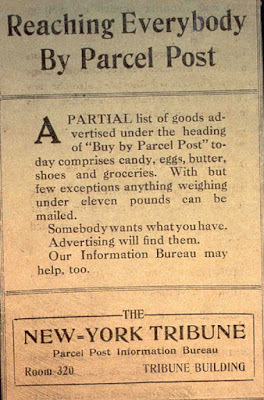 In 1897, Van Eps was hired by Thomas Edison's National Phonograph Company in West Orange, New Jersey, working as a regular in studio engagements. Van Eps cylinder recordings, often remakes of Ossman tunes, sold well for Edison. Early ragtime banjo recordings by Van Eps included "A Bunch of Rags" (1900) and "A Ragtime Episode" (1902).He also recorded for a number of other companies, including Columbia (from 1904) and Victor (from 1910). His group the Van Eps Trio recorded steadily from 1912 to 1922. He also led other groups such as the Van Eps Quartet, the Van Eps Specialty Four, and the Van Eps Banjo Orchestra. In 1914, the latter group was one of the first to record for the American branch of the French Pathe Freres Company. In 1921, Orlando Kellum, inventor of the Photokinema sound-on-disc sound file system, filmed the Van Eps Trio in The Famous Van Eps Trio in a Bit of Jazz. With Henry Burr, he formed a company that manufactured and sold the Van Eps Recording Banjo, modeled on the one he used in recordings and concerts. 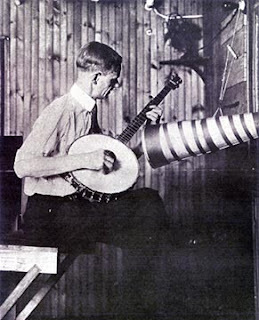 The banjo remained on the market until about 1930, when widespread use of electric recording removed the need for the loud volume produced by the Van Eps model. By the 1930s the banjo had fallen out of favor in popular music, and Van Eps switched to guitar, playing as a studio musician with Benny Goodman, Ray Noble, Red Norvo and others. In the 1950s he attempted a comeback with a number of banjo recordings, before his death in Burbank, California at the age of 81. 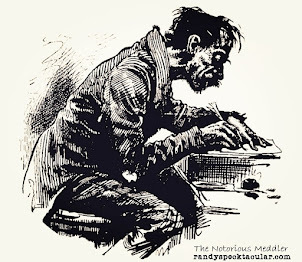 Van Eps also worked in vaudeville. He was the father of jazz guitarist George Van Eps. To listen to recordings made by Fred Van Eps, or other early recording artists, visit the Cylinder Preservation and Digitization Project at the University of California at Santa Barbara.